In 2006, 15.6% of Brazilians smoked. This percentage has been falling in recent years. According to a government agency that monitors  factors for chronic diseases via telefone interviews, Vigitel, smokers now account  for 10.8% of the population. Vigitel surveyed 40,853 people aged over 18 between February and December 2014. This survey has been carried out since 2006 in every state capital in Brazil. One of the main reasons for this fall in the number of smokers is the high price of cigarettes, which has risen well above inflation. Tax data  show that the price of cigarettes has increased by 90% over the last five years. 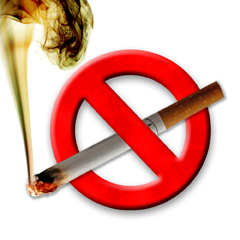 In addition, smoking has been banned  in closed public  places in Brazil. The capital with the highest proportion of smokers is Porto Alegre, Rio Grande do Sul, where 16.4% of the adult population smokes.The capital with lowest proportion of smokers is São Luís, Maranhão, where smokers account for only 5.5% of the population. The fall in the number of smokers is great news because cigarette smoke contains over 4000 chemicals  and 69 of these are known to cause cancer. 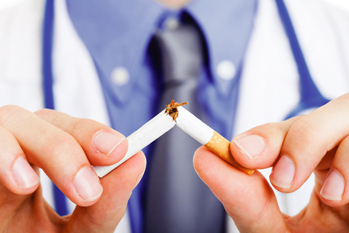 Smoking also increases the likelihood  of lung  and cardiovascular disease. In Brazil, smoking is responsible for about 200,000 deaths a year. Matéria publicada na edição de número 85 da revista Maganews. Áudio – Aasita Muralikrishna e Thiago Ribeiro. Foto principal – Minerva Studio / shutterstock.